rgentina return to the scene of one of their biggest sporting disappointments in recent history when they face Chile. The Albicelestewere were massive favourites to beat the hosts in the final of the last summer's Copa America yet La Roja triumphed on penalties to leave Argentina waiting for their first trophy since 1993. The Estadio Nacional Julio Martínez Prádanos doesn't hold fond memories for Tata Martino's men yet they head to the Chilean capital aiming to kick-start their World Cup 2018 campaign. Two draws, a defeat and a solitary victory from their opening four qualifiers have left Argentina seven points behind leaders Ecuador although a win in Santiago would see them very much back on track. After the euphoria of last summer Chile have since parted ways with coach Jorge Sampaoli, with Juan Antonio Pizzi taking over the reigns and the nation feeling as if they are in a transitional period. Nevertheless, they remain extremely strong on home soil, with Argentina the last team to beat Chile in a competitive game at home back in October 2012.
bet365 are live streaming all South American World Cup qualifiers for UK based customers and offer Chile at 21/10 (3.10) for the win, while Argentina can be backed at 7/5 (2.40) and the draw also offered at 21/10 (3.10). Argentina's poor start to the their qualifying campaign has seen them net just two goals in four matches, and for a side with such an exquisite array of attacking talent, that is an eye-catchingly poor return. Lionel Messi is yet to score in the campaign, however the price of 13/10 (2.30) for him to do so looks extremely tempting. Even against the biggest teams in Europe, the Barcelona forward is rarely priced at odds against to find the back of the net, and there is a strong argument for punters to invest in him to score whenever their initial investment can be more than doubled. Chile have conceded seven goals in their last three qualifiers, with only bottom of the table Venezuela conceding more goals in the competition. Since returning from injury in December, Messi has been in superb form and in 2016 he has scored 24 goals in all competitions. With Argentina desperate for a victory and Chile possessing a leaky defence, the price for the current world player of the year to find the back of the net is probably too good for us to turn down. 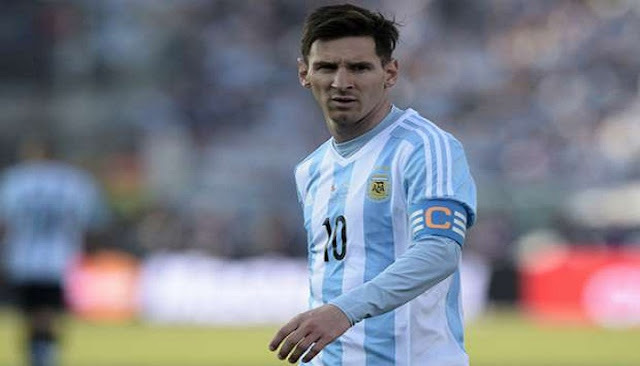 0 Response to " Messi set to avenge Copa America misfire"